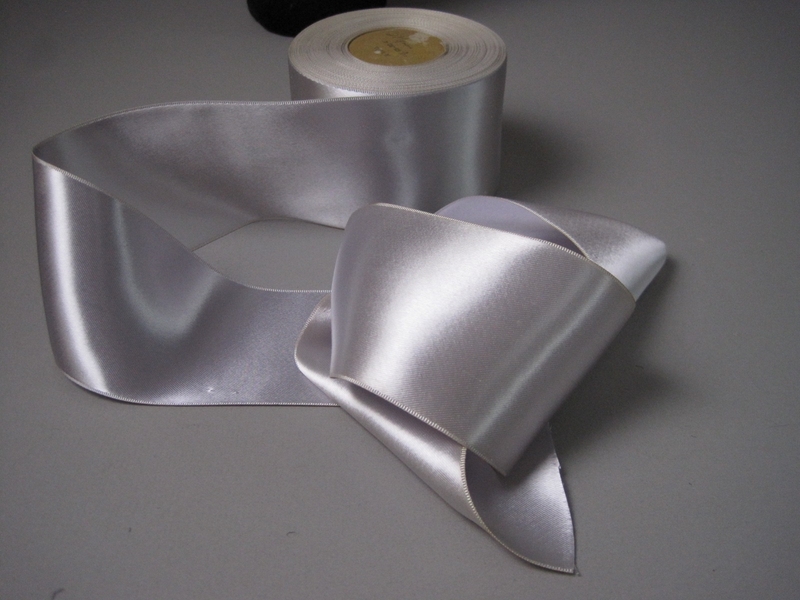 Vintage ribbon from the 1930s is not actually metallic but has such a high sheen it appears silver metallic. 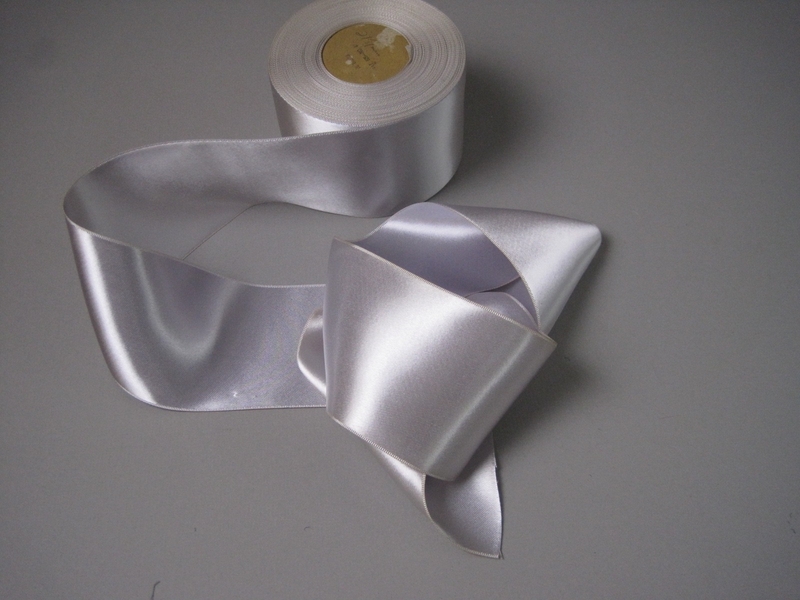 It is a double sided satin ribbon in a heavier weight and is fashioned of rayon. 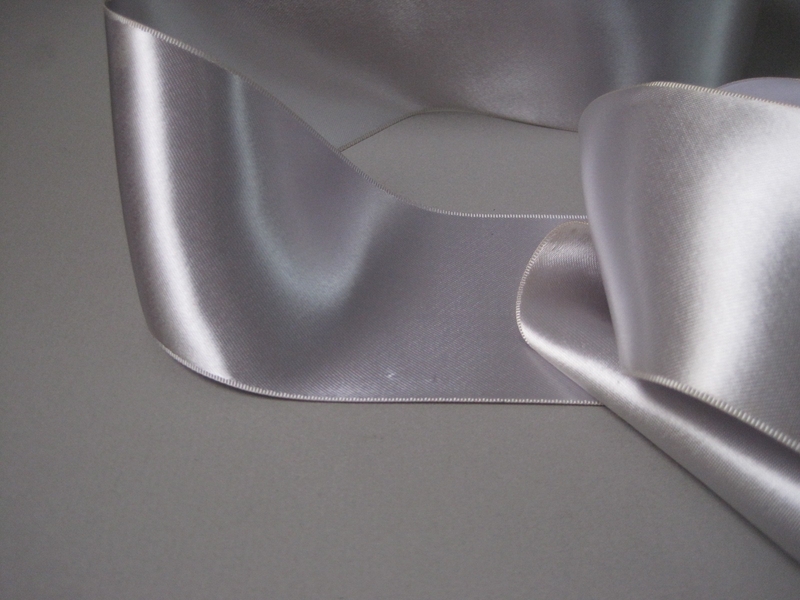 Great for bridal or luxury use.